Deliver liquid formulations such as acetone, water, makeup remover or alcohol effortlessly with one touch by using this natural polypropylene 5 oz. 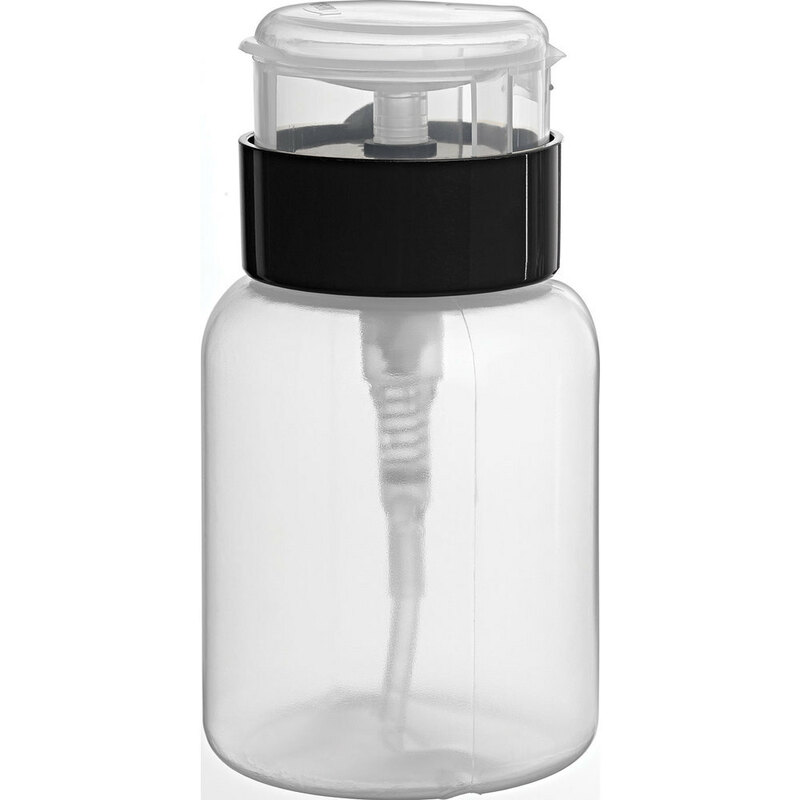 dispensing bottle with flip top cap. After filling, just flip open the cap, gently push down on the disc dispenser and the solution will rise to the surface instantly. Use a swab, cotton ball, cloth or brush to absorb the liquid from the reservoir and apply to the desired area. The locking cap creates a tight seal to prevent liquid from spilling during travel or when not in use. Measurements: 150 ml; 5 oz.